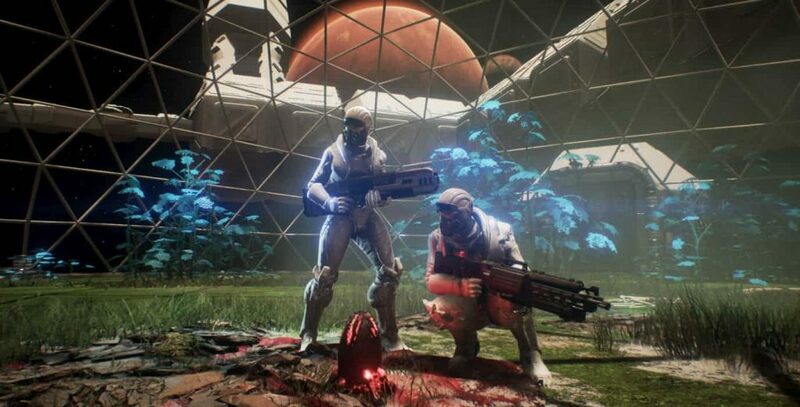 An enticing marriage of single-player space simulation, strategy, roguelike and FPS elements, Genesis Alpha One is an ambitious effort that puts players in charge of colonising the stars because, well, in the far-flung future Earth is a fetid, craphole wasteland (again) and we all need somewhere new to live as a result. With this premise, German developer Radiation Blue have managed to fashion something entirely unique on PS4 with Genesis Alpha One, and though some aspects of its genre-crossing design are uneven, the hook that it sinks into you is keenly felt, monstrously compelling and strong enough to make you forget about the small handful of shortcomings. Taking the absolute last dregs of humanity into the cosmos to proliferate among the stars is a bit more difficult than it sounds, not least because you need a ship to do it with and it’s here that Genesis Alpha One introduces players to the first of its cornerstones – ship-building. In order for your ship to be able to not only support life, but venture out into a sea of stars to discover new species, minerals and technology, it has to be designed to allow this and Genesis Alpha One’s super-easy ship building interface makes doing this a doddle. The ship-building interface is highly accessible and doddle to use. 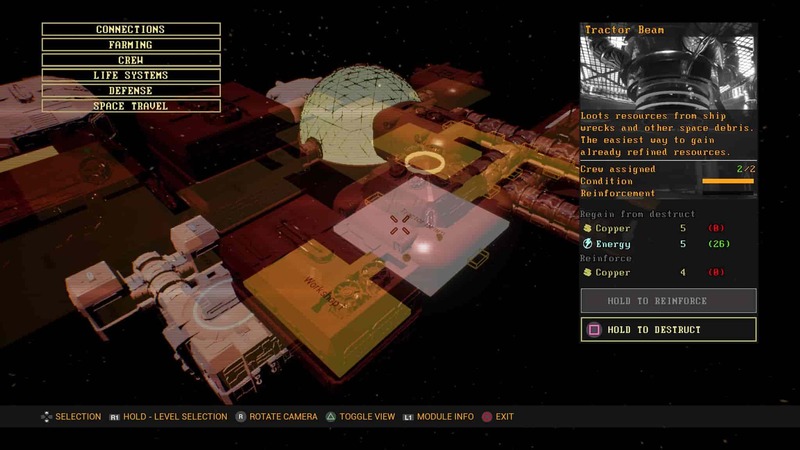 From here, you get to construct your ship (and name it), putting into place crucial apparatus such as a tractor beam to allow you to beam aboard precious minerals, a greenhouse to keep the atmosphere in your ship breathable, crew quarters, refineries, supply bays and more to keep the whole enterprise of your ship going. So far, so FTL right? 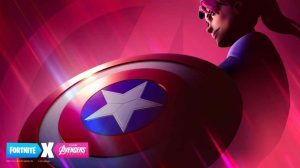 Yep, except that the whole affair is viewed from a first-person perspective – this means that you get to literally walk around the ship you’ve made and explore all the rooms, chambers and interact with the various consoles dotted around the place to complete tasks, or to assign jobs to your newly cloned buddies to help out. Ah yes, clones. You see, because there actually aren’t that many humans left, you need to build a cloning chamber to not only bolster your crew, but also to eventually find a genesis candidate planet that is able to be colonized – which is the end result, least we forget. The thing however, is that everything costs materials of different types – ship additions require iron, copper, aluminium and other precious metals, while cloning and healing your crew requires a stockpile of gooey biomass harvested from dead aliens. As it turns out, these materials can be obtained by using your tractor beam to bring them on board from floating husks of space debris, or, by going down onto a nearby planet and harvesting the things you need. It’s arguably, after your first trip to the surface of a planet that you begin to appreciate the scope of Genesis Alpha One and what it is trying to do. Everything you build must be done so with the consideration of how it will function in the real world – if you construct a ship with barely any corridors it might be quick to navigate around, but equally, containing infestations will be that much harder. The crux of the Genesis Alpha One experience is how seamlessly it shifts gears. One minute you could be bolting on a storage extension to your ship, the next you could be down on a hostile planet harvesting precious minerals. Likewise, during your space-faring odyssey you’ll discover that you can blend alien DNA harvested from dead enemies into your cloning process which allows you to, yep, you guessed it, clone aliens and have them serve on your ship. Brilliantly, each alien has its own characteristics, weaknesses and strengths too, so while some extraterrestrials have higher intelligence which makes them well suited for engineering tasks, others might be more robustly built, lending them better to security and planet expeditionary roles. Being able to snap between a ship-planning view and a first-person perspective lends Genesis Alpha Zero a real sense of intimacy that other strategy games simply do not possess. It’s a revelation, quite simply, to build parts of your ship and then just a few seconds later take a wander around your creation – marveling at the simplicity or the complexity of the design, whilst also being able to fault find issues with your design in real-time. There is no other game on PS4 that lets you do this with this level of effortless freedom and accessibility, and for that developer Radiation Blue should be commended. With playthroughs that can last anywhere from one hour to 100 hours, it can be easy to forget that at its core, Genesis Alpha One is a roguelike. 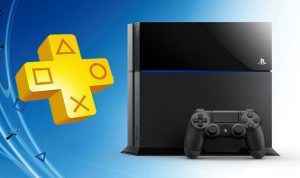 This means that when you fail, you start all over again – except each time you restart, you not only have the knowledge of what you did wrong during last your playthrough, but if you’ve unlocked special crew, corporations and artifacts you get to use those for a boost the next time you start. However, Genesis Alpha One treats death a little differently than most games. If you die, rather than that being the game over point, you simply take control of the next member of your crew – and this keeps going until you have no crew remaining. Because of this unique dynamic, Genesis Alpha One has you thinking about succession – have you been able to create a respawn chamber, so that when all else fails in the event of an infestation, that you can continue to manage and go about retaking control of your ship? Genesis Alpha One makes you think about everything, but it never feels onerous in doing so, which once again underlines how well put together it is. 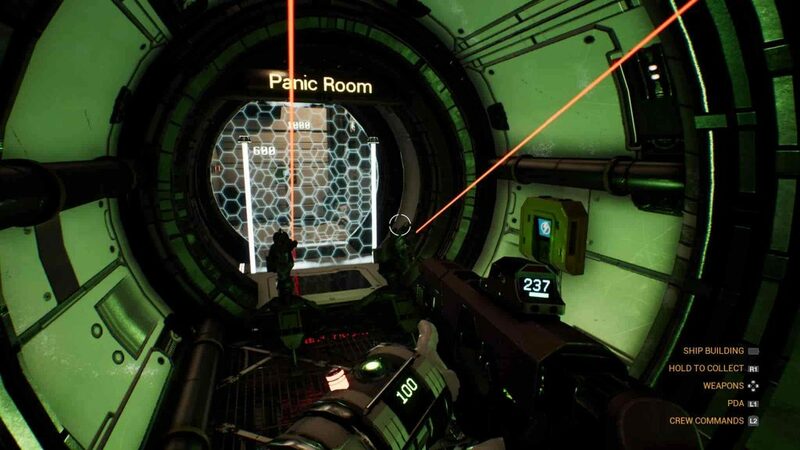 An example of one of the new room types you can get from research sites – The Panic Room! Double shielding, two automated motion tracking turrets AND a corridor that fires out an acidic mist that melts anything that is considered hostile. Yep, *nothing* is getting me in here. Amusingly, Genesis Alpha One is often at its best when everything goes wrong and for me, the brown stuff really collided with the fan on my first playthrough. Events all went a bit sideways after I had been using the tractor beam to ensnare a whole bunch of iron so that I could satisfy my designs on creating an additional reactor for the ship. What I didn’t realize however, was that a spore had been brought on the ship and that it had begun to take root in earnest. Fast forward one hour of real time and I start to notice these odd, bulbous growths in the corners of some of the corridors of the ship; a quick prodding with a shooty stick later soon reveals that these are eggs, which quite naturally begin to hatch these aliens which look like a cross between a face hugger and a really, really enthusiastic crab on steroids. The next thing I hear from the ship’s AI is that systems have been comprised and power is failing. After a quick look underneath the walkways, I discover a massive horde of the things and in the ensuing firefight a stray rifle round (or ten) punctures the power battery underneath the greenhouse which immediately sets alight and the next thing I know is that everyone’s dead, I’m floating out in space and my beloved ship that is about to drift into the belly of a nearby gas giant. And this is the thing – it doesn’t matter how long you put into your previous playthrough, Genesis Alpha One always makes you want to come back to right away as there are no shortage of incentives for doing so. Whether it’s tracking down new upgrades for your infrastructure and equipment, or simply uncovering a new alien species or long lost transmission from the pioneers that have come before you, Genesis Alpha One sinks its teeth deeply and refuses to relinquish its grip. As stellar as Genesis Alpha One appears to be in so many aspects of its design, there are some areas where it could certainly do with some improvement. For starters, none of the crew you have under your employ have any personality. Instead, they’re boorish sorts who when interacted with just give you pointers on the mechanics of the game, rather than having the sort of charisma one would expect from pioneers striking out to find a new home in the cosmos. 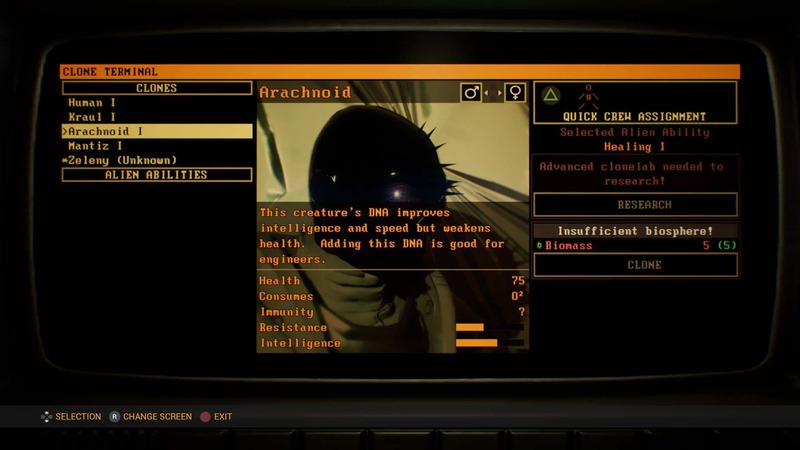 In Genesis Alpha One, you can use your collected genetic material and biomass samples to clone alien races to serve on your ship – and each race has its own strengths and weaknesses too. Equally, you need to make sure that your biosphere can support such diverse life as well. Likewise, the gunplay side of things isn’t quite as satisfying or as sophisticated as it perhaps should be. Limited to planetary landings or ship infestations, it’s fair to say that other than just blasting what often seems to be rudimentary AI aliens isn’t all that thrilling. Likewise, the interactions with planets themselves is similarly limited for the most part, because when you land on a planet to harvest materials, you do so within a tight spherical environment (the game reasons that venturing outside of this sphere would kill you owing to the extreme conditions). No Man’s Sky then, this is not. Beyond such gripes however, it’s also worth noting just how artistically and technically accomplished Radiation Blue’s debut title is, too. With a delectable retro aesthetic that lovingly taps into a vein of inspiration lain by Ridley Scott’s original Alien movie – everything is in MS-DOS style fonts, and generally has flashing buttons in addition to chunky and satisfyingly clicky sounding keyboards. Technically too, Genesis Alpha One is certainly no slouch either. Powered by Unreal Engine 4, Genesis Alpha One boasts great texture detail in its environments which in turn is supported by some gorgeous lighting effects and a framerate that absolutely, positively, refuses to drop beneath 60fps. Sure enough, the character models might not quite match the level of visual craft seen in environments, but on the whole this is one attractive looking offering. Genesis Alpha One makes you feel utterly responsible for everything that happens during every playthrough. In doing so, it makes players acutely aware of the concept of ultimate ownership – prescribing that, you can leave everything to your crew, or, you can get stuck in yourself and make sure things get done right – but either way, the buck always stops with you. 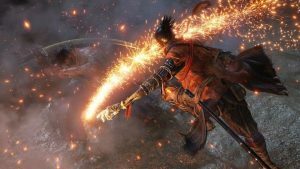 Then there are the numerous surprises that the game has up digital sleeve – which, for the sake of preserving your own sense of wonderment/horror/discovery will not be documented here, but all the same contribute to a game that is certainly not lacking in things to do over the long haul. 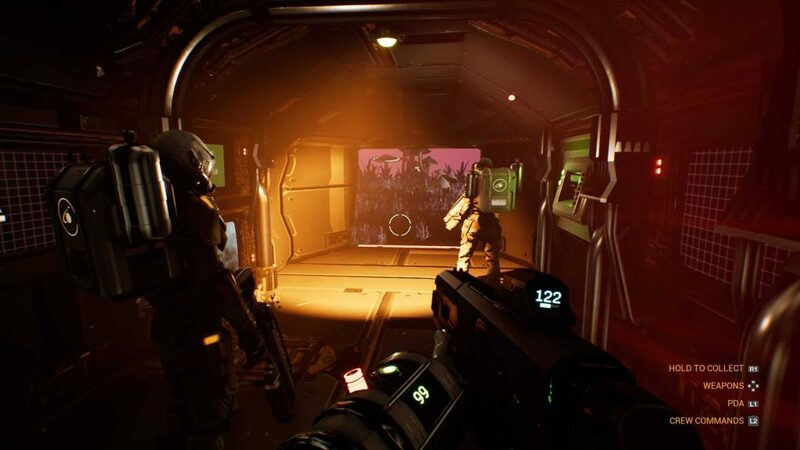 A tremendous synergy of FPS, strategy and space sim elements, Genesis Alpha One is arguably the first essential indie title of the year and the most exciting roguelike in years. Developed by Radiation Blue and published by Team 17, Genesis Alpha One releases on January 29, 2019.